Treat yourself to an excellent night’s sleep with this cute pyjama set from Pastunette which would be a comfortable choice for relaxing at night and at weekends. 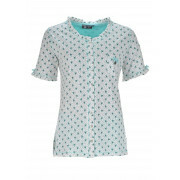 The long sleeve pyjama top is designed with a straight shapeand features a bow print throughout. 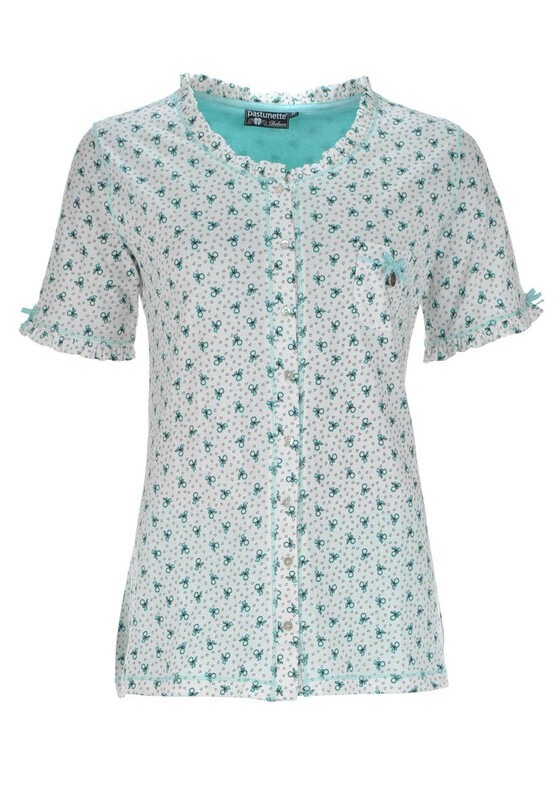 Crafted from soft cotton fabric and featuring a full button placket and bow detail on the chest pocket. The plain turquoise cropped leg pyjama bottoms have an elasticated waistband.